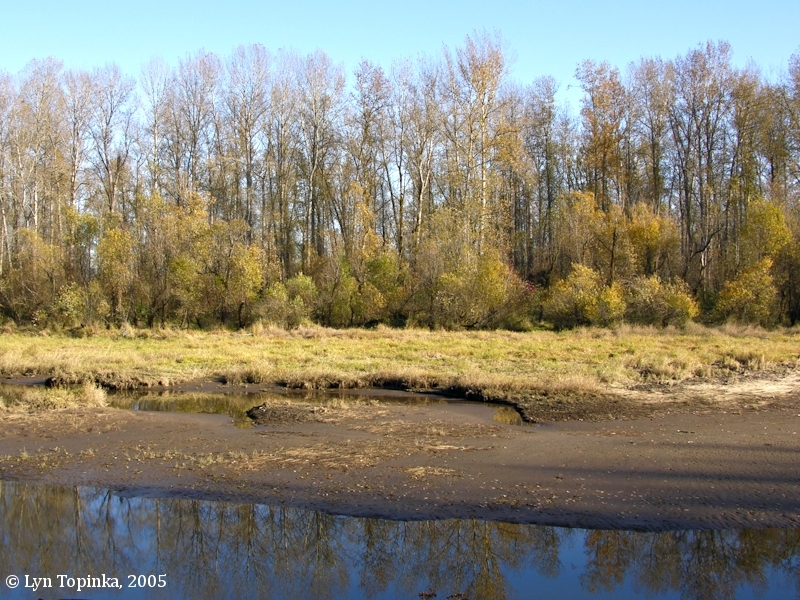 "Willow Bar Islands and Willow Point, Sauvie Island, Oregon"
The Willow Bar Islands are located on the east side of Sauvie Island at Columbia River Mile (RM) 95, directly across from Post Office Lake and the Ridgefield National Wildlife Refuge. The Willow Bar islands are situated at the upstream end of Willow Point, located at RM 94. 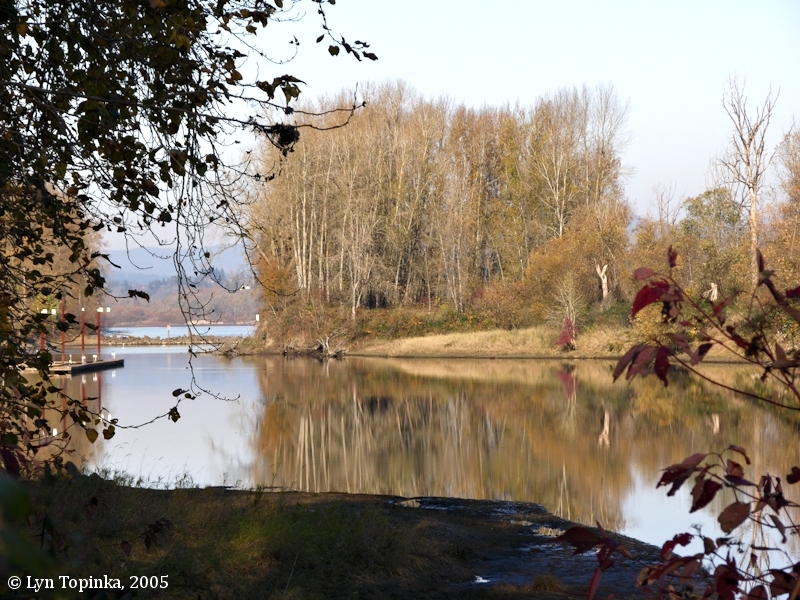 The slough separating the Islands from Sauvie Island today is a private boat moorage. 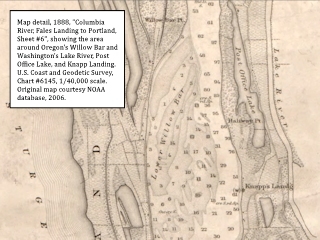 The Willow Bar Islands were at one known known as "Lower Willow Bar", with the area of Frenchmans Bar and Caterpillar Island on the Washington side being known as the "Upper Willow Bar". Lieutenant Broughton in 1792 spent the night of October 28 in the Willow Bar area. In 1805 Lewis and Clark spent the night of November 4 on the Washington shore across from the Willow Bar Islands. 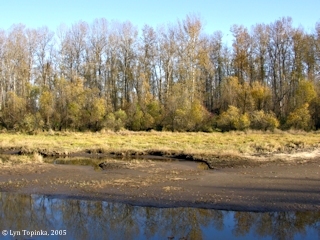 Willow Point is located downstream of the Willow Bar Islands, at Columbia River Mile (RM) 94. 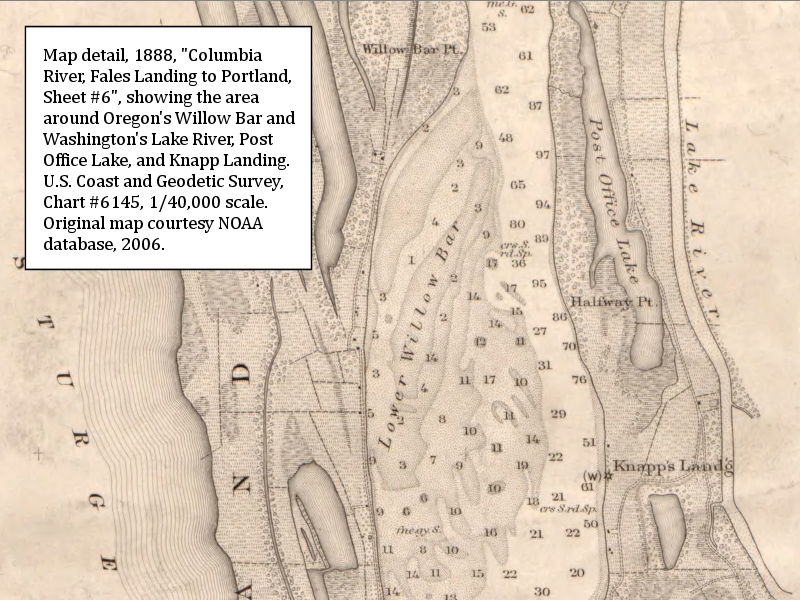 Across from Willow Point on the Washington side of the Columbia was located Fales Landing, an old landing site on the Columbia. "... Willow Point, COLUMBIA. This point is on the northeastern part of Sauvie Island. In the opinion of the writer, it is the place mentioned by Lt. William Broughton in his report to Capt. George Vancouver for the day of October 28, 1792, when he stated that 'he proceeded up what he considered the main branch of the river, until eight in the evening; when under the shelter of some willows, they took up their lodging for the night on a low sandy point.' This was just after Broughton had passed the lower end of Sauvie Island. 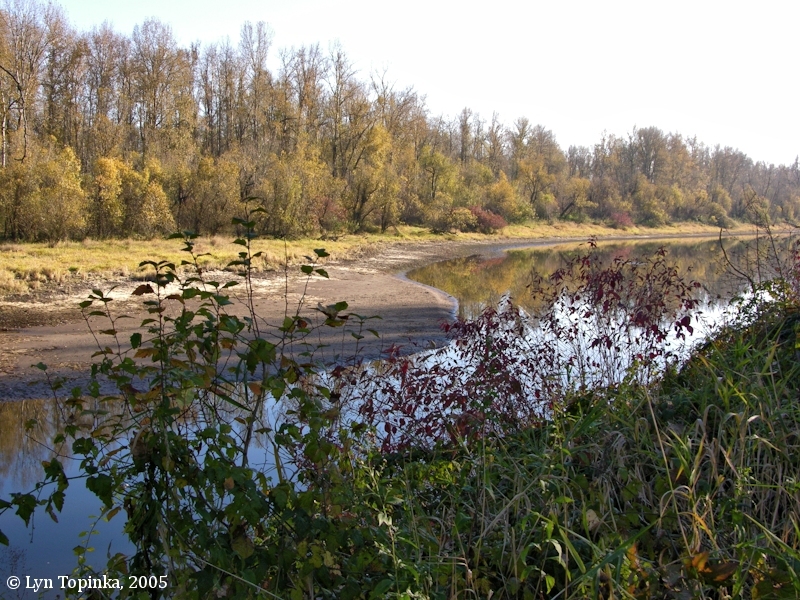 ..."
On October 28, 1792, Lieutenant Broughton of the British Captain George Vancouver Expedition, spent the night under the willows at Sauvie Island's Willow Point. The 1825 map of the Hudsons Bay Company shows "Willow Point". The 1888, U.S. Coast & Geodetic Survey's "Columbia River Sheet No.6, Fales Landing to Portland" (Chart No.6145) shows "Lake River", "Post Office Lake", "Halfway Pt." (Knapp Point), and "Knapp Landg." (Knapp Landing). On the Oregon side across from Post Office Lake is "Lower Willow Bar", the location of today's Willow Bar Islands, and "Willow Bar Pt. ", today's Willow Point. 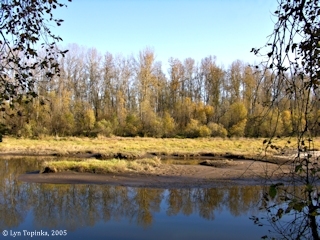 Click image to enlarge Willow Bar Islands, Sauvie Island, Oregon. Looking down slough towards the Columbia River. 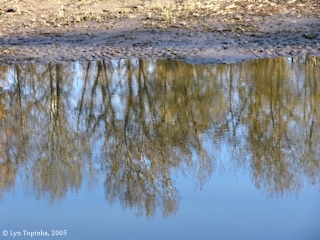 Image taken November 20, 2005. 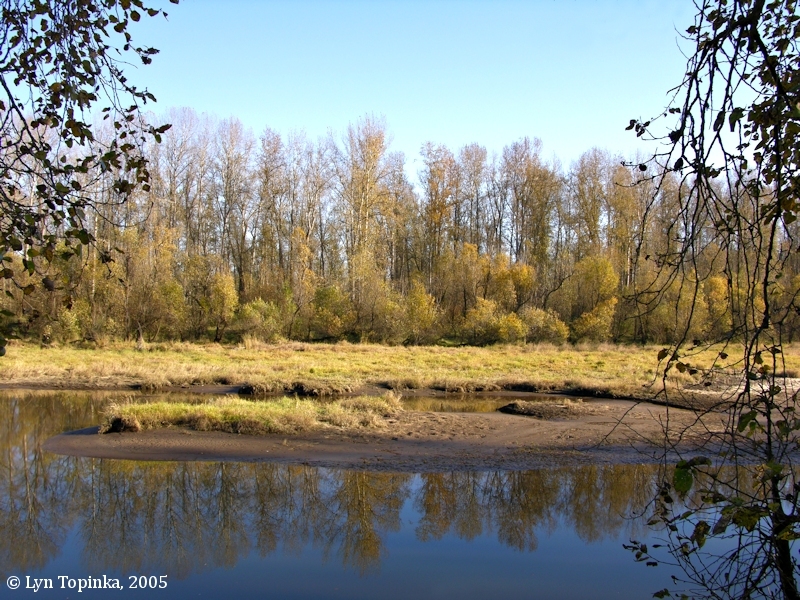 Click image to enlarge Willow Bar Islands, Sauvie Island, Oregon. Image taken November 20, 2005. 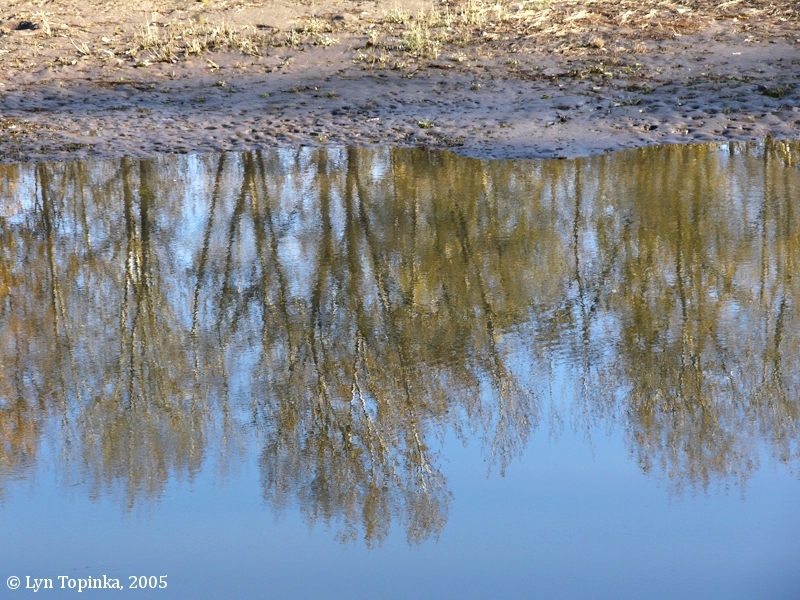 Click image to enlarge Reflections, Willow Bar Islands, Sauvie Island, Oregon. Image taken November 20, 2005.